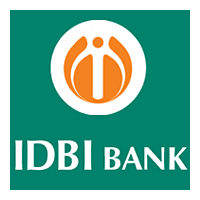 IDBI Bank Recruitment Notification 2018.IDBI Bank inviting applications for the positions of Expert/ Professional (Head/ Data Analytics).Interested and Eligible candidates can apply for the positions. Applicants those who have 8-10 years of relevant analytics work experience can apply. Maximum age for applicants to apply is 57 years. Selected candidates will get monthly remuneration based on their experience, seniority level etc. Through registered post by 10th September 2018 candidates can submit applications for IDBI Bank Recruitment. https://www.idbi.com is the link to download application form and send to below given address. General Manager, Human resource Department, IDBI Bank Ltd, IDBI Tower, 21st Floor, WTC Complex, Cuffe Parade, Mumbai-400005.